THUGLI, a DJ/production duo made up of Toronto natives Tom Wrecks and Pat Drastik, have put down a half-hour mix for the DJcity Podcast. Their set features mostly hip-hop and bass music, including one of their own remixes. THUGLI’s bass-heavy productions have been supported by the likes of Diplo, A-Trak, and Flosstradamus. The duo is set to release a new EP in 2018. Follow THUGLI on Facebook, Instagram, SoundCloud, and Twitter. Toronto duo Thugli is best known for their hard-hitting trap productions, which have been supported by the likes of A-Trak, Diplo, and Just Blaze. However, the group’s members Pat Drastik and Tom Wrecks are also skilled turntablists, the former of which has won Thre3style and DMC championships. Watch above to see them perform their 2013 heater “Listen Up” using the Serato DJ-powered Pioneer DJM-S9. Canadian trap duo Thugli has teamed up with eyewear company Arnette for a mix to celebrate Mad Decent Block Party 2014. Going 45 minutes deep, Thugli’s selection features plenty of bass-infused heaters from some of today’s most influential producers. MDBP kicked off last Saturday in Ft. Lauderdale and will stop in US and Canadian cities such as New York, Los Angeles, Atlanta, Toronto, Berkeley, Las Vegas, San Diego, among others. 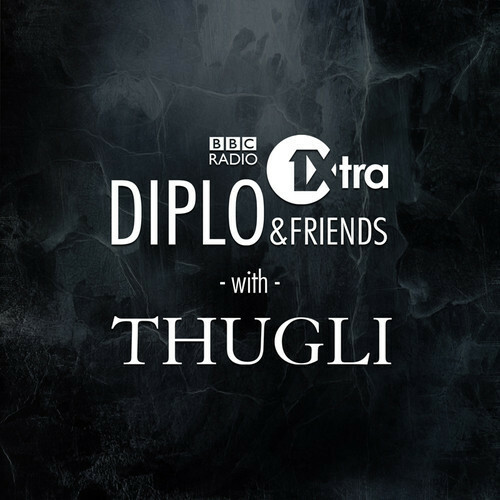 With their unique brand of trap and a rising fan base, it only made sense that tastemaker extraordinaire Diplo would invite Thugli to throw down on his “Diplo and Friends” show. On January 5, the duo served up an eclectic 60-minute mix on BBC Radio 1Xtra featuring hip-hop and futuristic beats.